Resources for twins and their families is very important. We have put together this helpful list of the most reputable organizations, clubs, blogs, and informational sites that we consider great resources for parents and families of twins and multiples. We have a brief description of each site as well as a link. This non-profit organization was founded in 1960 for the specific purpose of promoting the special aspects of child development for multiple birth children. 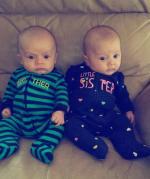 They have tons of information pertaining to multiple birth, parenting, as well as research and conventions. "The Twins Foundation is an international membership organization and primary research information center on twins and other multiples. It serves twins, their families, the media, medical and social scientists and the general public through its publications, its National Twin Registry and its multi-media resource center. The Foundation was established in 1983 by twins to collect, preserve and communicate information about twins and other multiples and twin research. The Twins Foundation is a non-profit 501(c)3 organization. All contributions are deductible within legal limits." The TRC's primary goal is to raise awareness about the growing numbers of twins and provide educational training to other professionals, giving them the additional expertise to work with twins within their service offering. This Web Site offers information regarding multiple births. It includes pregnancy and post-natal information and, from the point of view of new parents, it attempts to address some of your questions and concerns. This association was organized by and for twins in 1934. They state that they are a non-profit, family-oriented organization to promote the spiritual, intellectual, and social welfare of twins and multiples throughout the world. TwinsDoctor.com is the first physician-authored website with health information exclusively for multiples. 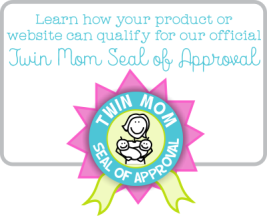 Founded in 2007, the site is hosted by Dr. Khanh-Van Le-Bucklin: a pediatrician, mother of twins, and author of "Twins 101: 50 Must-Have Tips for Pregnancy through Early Childhood from Doctor M.O.M.". Convenient, in-home prenatal classes for families expecting twins, triplets or more. One of the older resources for twins and their families, their website is not the most up-to-date or organized. But, they boast members from all over the world and from all walks of life, brought together by one common bond: multiples. You can join the list and make your own posts and comments on a wide range of topics, from surviving bed rest, potty training twins, to separating them in school. This non-profit organization was founded in 1977 by identical twins, Louis and Donald Keith. They state that, "The three primary reasons for its inception were research, education, and public service. In our 28-year history, we have either published or supported the publication of numerous documents and books relating to multiple births." One of the best resources for twins experiencing TTTS. They state that they are, solely dedicated to providing immediate and lifesaving educational, emotional and financial support to families, medical professionals, and other caregivers before, during, and after a diagnosis of twin to twin transfusion syndrome. This site provides a compassionate community for twinless twins to experience healing and understanding. They provide support for twins and/or multiples who have lost their twin due to death or estrangement at any age. Twinstuff.com is a large community of twins and their families. They include a message board and and forum. This web site is supported by volunteers and is specially for expectant and experienced parents of monoamniotic twins (twins that share the same amniotic sac). They offer information, experience, and hope to those who have just been diagnosed, to those who have already delivered but looking for others to relate to, and to those who have suffered loss due to this very rare and high-risk type of twin pregnancy. A site dedicated to parents of twins from conception to beyond. A Twin Pregnancy Calendar is also offered. The Twins Days Festival takes place every August in Twinsburg, Ohio. It's open to all twins and multiples, young and old. Families of twins and multiples are, of course, included. It's a fun way to connect with other twins and their families. You can register on their site and view tons of Twins Days photos, as well. Our guide to books for and about twins will take you through the different types available along with a few book reviews.